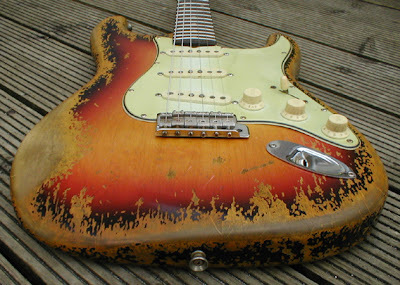 A reader just let us know about the Toneslinger video series on aging or distressing a guitar. Cliff Merrill gets into everything including fretboard wear, hardware aging, finish checking, etc. CLICK HERE for the full 15 clip series at Youtube which auto plays in sequence through all the clips. This link can also now be found in our Relic Resource Directory.